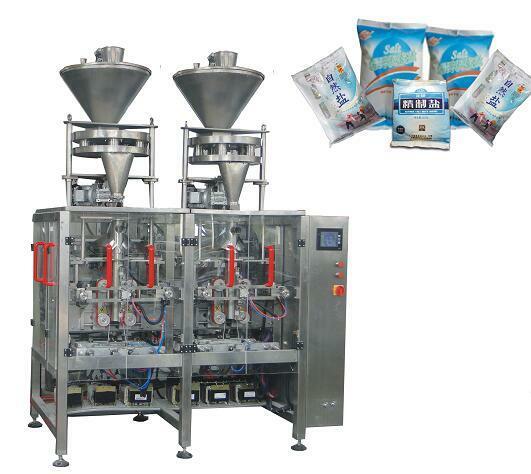 This unit consists of a metering cup metering machine and a 5000DS vertical packaging machine. It is suitable for metering and packaging of fine particle material especially salt. It integrates the functions of automatic metering, bag-making, filling, sealing, printing, the operating interface adopts advanced touch screen. Pharmaceuticals, food, daily chemical industry, agrochemical, hardware and architecture material industry etc., we can also provide customized machines according to customer requirements.